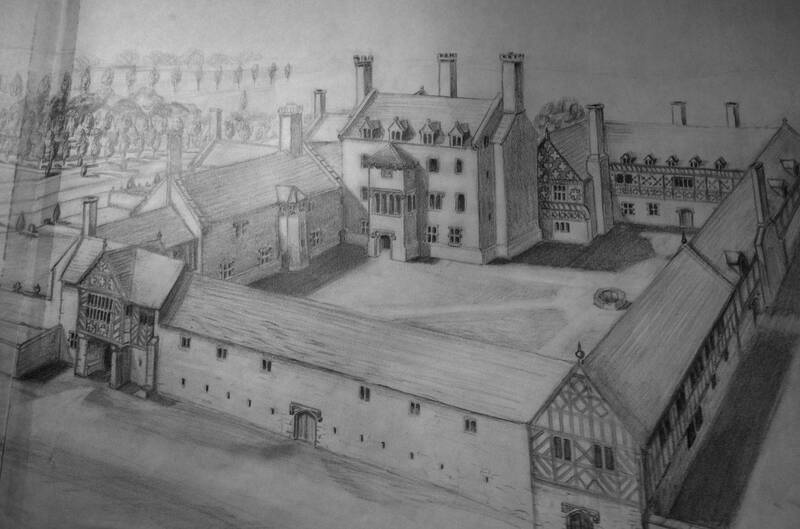 The first recorded owners of Gwydir were the Coetmores, who were responsible for building the Hall Range, the earliest surviving part of the house. Members of this family are recorded as having fought at the battles of Poitiers (1356), Shrewsbury (1402) and Agincourt (1415) as commanders of longbowmen. Following the Wars of the Roses, the castle was rebuilt around 1490 by Meredith ap Ieuan ap Robert, founder of the Wynn dynasty and a leading regional supporter of King Henry VII. Originally a fortified manor house, Gwydir acquired additions in the 1540s (incorporating reused gothic building material from nearby Maenan Abbey), and was given a fine Elizabethan porch and gardens in the 1590s. Further additions were made c.1828 to designs by Sir Charles Barry, architect of the Houses of Parliament. 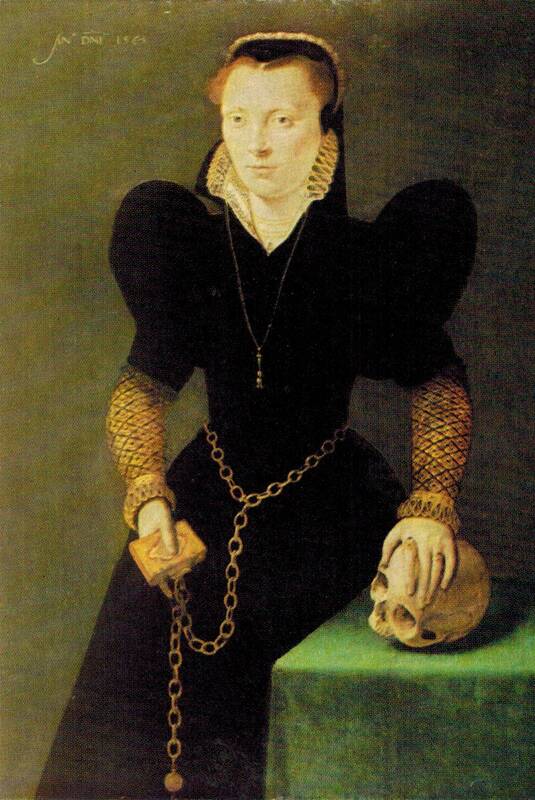 In the 1570s Gwydir was the home of Katherine of Berain (‘The Mother of Wales’), cousin of Queen Elizabeth I, and the castle has associations with the Babington Plot (1586) and the Gunpowder Plot (1605). Other historical figures linked with the castle include the Earl of Leicester (Queen Elizabeth’s favourite) Inigo Jones, ‘the Father of English Palladianism’, Bishop Morgan, translator of the first Welsh Bible and Archbishop John Williams, Lord Keeper under Charles I. 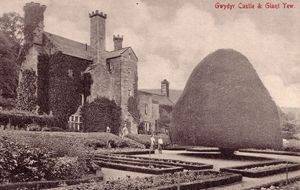 During its two-hundred years as seat of the illustrious Wynn family, Gwydir emerged as one of the most important cultural and political powerhouses of Wales. 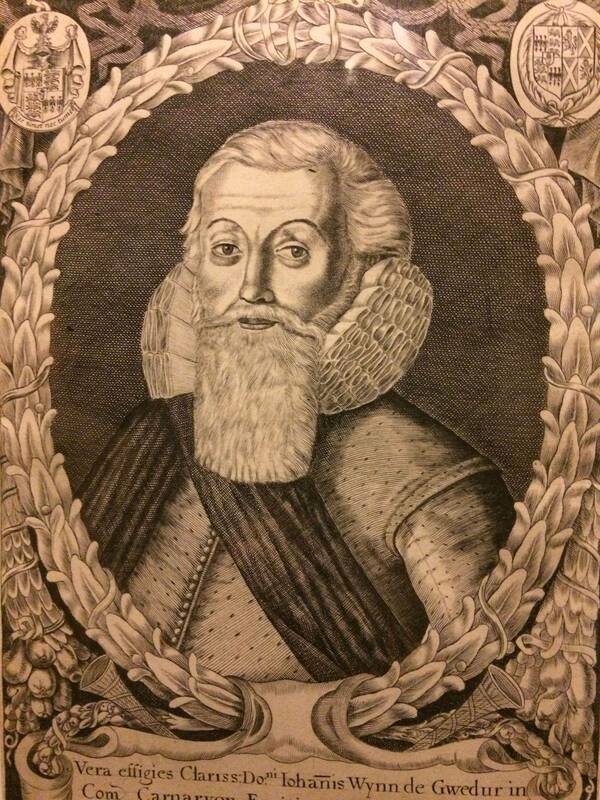 Sir John Wynn was created Wales’ joint first Baronet in 1611 and left a remarkable account of the early years of the family in his famous ‘History of the Gwydir Family,’ written around 1600. In the C17th a branch of the Wynn family was established in America; this line still flourishes today. 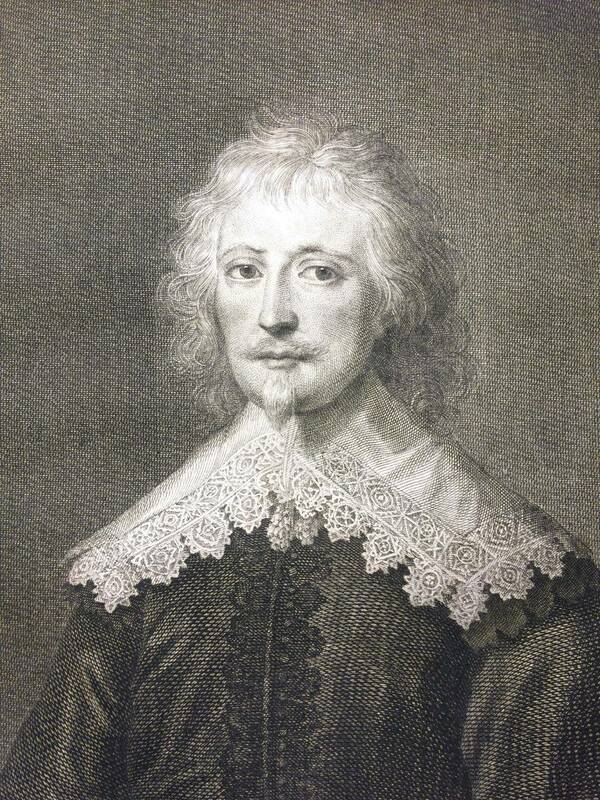 The fourth and last of the Wynn baronets, Sir Richard, died of the plague in 1674. His daughter, Lady Mary, married Robert Bertie, subsequently Duke of Ancaster, and from the late C17th until 1895 Gwydir was a possession of the Willoughby de Eresby family. Seated at Grimsthorpe Castle in Lincolnshire, the family used Gwydir as a summer residence from 1828, it having been tenanted for much of the C18th. In 1895 a cousin, Charles Wynn Carrington, later Marquis of Lincolnshire, bought Gwydir which he used as his primary seat until he sold the castle and its contents in 1921. After a fire in the Solar Tower the following year, the house fell into dereliction, and after passing through several ownerships it was purchased in 1944 by Arthur Clegg. He commenced an heroic restoration of the house, which his son Richard continued after his father’s death in 1964. However, by the late 1980s the castle had once more fallen into a state of dereliction. Famous for its peacocks, the castle is also known for its many ghosts and has the reputation for being one of the most haunted houses in Wales. 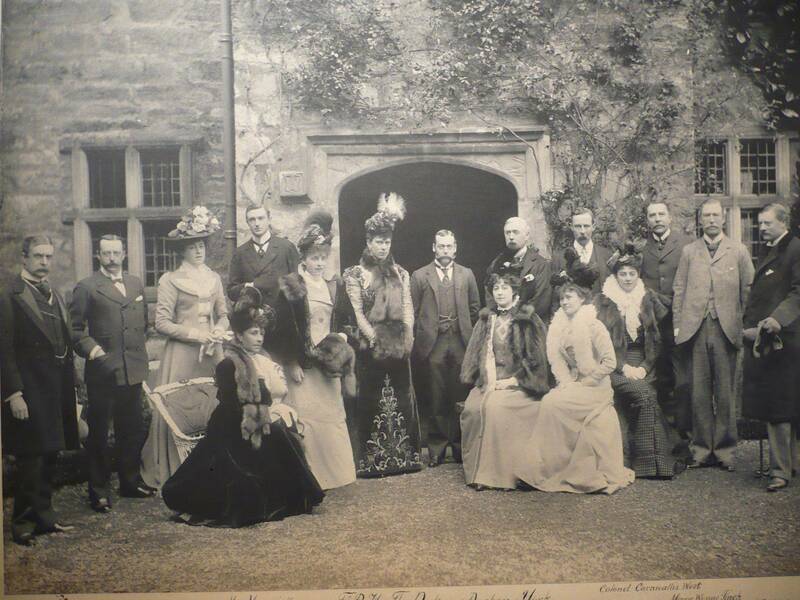 There is a long tradition of entertaining royalty at Gwydir. King Charles I is said to have visited in September 1645 as guest of Sir Richard Wynn, Treasurer to Queen Henrietta-Maria and Chief Groom of the Royal Bedchamber. In 1899 the future King George V and Queen Mary stayed here as Duke and Duchess of York.